Going cruelty-free doesn’t have to be limiting. In fact, vegan alternatives can open up a whole universe of textures and possibilities Take Cliff’s cork belts, for instance. Lighter than leather and more interesting to look at, each handmade (and machine-washable!) belt distresses beautifully over time, just like the real thing. Cliff harvests the cork—don’t worry, it grows back—then laminates it onto fabric to create a sturdy yet supple cincher for your waist. Suffer from a split personality? Each belt is fully reversible. Going cruelty-free doesn't have to be limiting. 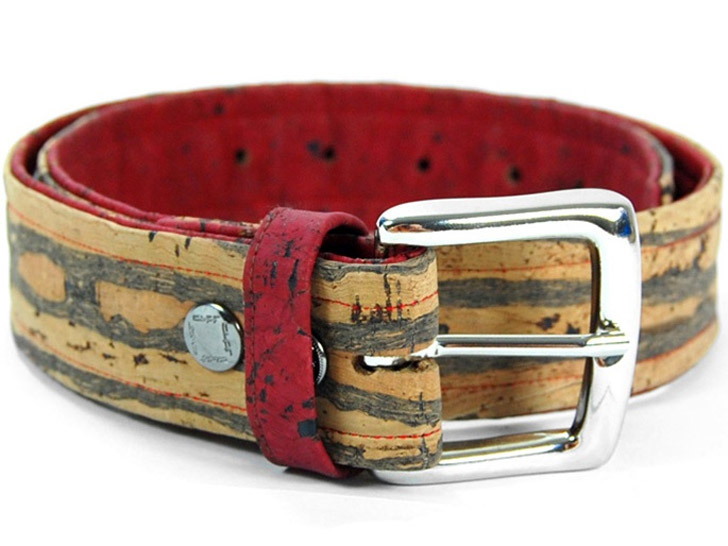 In fact, vegan alternatives can open up a whole universe of textures and possibilities Take Cliff's cork belts, for instance. Lighter than leather and more interesting to look at, each handmade (and machine-washable!) belt distresses beautifully over time, just like the real thing. Cliff harvests the cork�don't worry, it grows back�then laminates it onto fabric to create a sturdy yet supple cincher for your waist. Suffer from a split personality? Each belt is fully reversible.